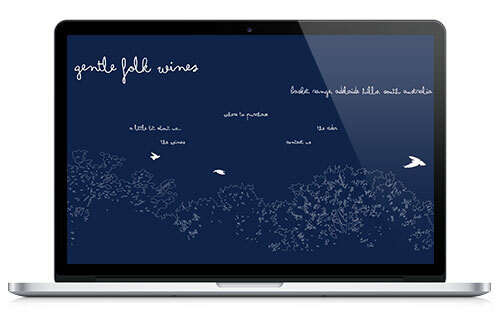 We were asked to design and develop a simple website for them to show a bit about them and the wines and where it’s available. We went for a flat html site using the Twitter Bootstrap. The site is nice and quick and uses a couple of custom webfonts. It’s nice and responsive with a very simple mobile menu on the home page to replace the main menu feature on the homepage. 24Seven Digital Media is a specialist digital marketing agency, helping clients grow their online presence, generate leads and measure results. Working across Australia and New-Zealand, our consultancy-based service and software empowers companies with the tools and intelligence to get the most out of every online campaign. With years of experience, a commitment to innovation and a marketing platform that’s well ahead of the game, 24Seven Digital Media caters to the next generation of online marketers. We built a simple responsive WordPress CMS site utilising full width slider images, transparency effects and a blog. It’s built on the Warp framework and uses the Widgetkit plugin. Rent4Keeps is a fully Australian owned and developed home appliance and furniture rentals business that stated operating in Victoria in October, 2011. 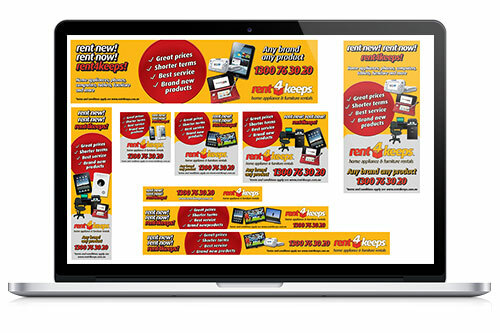 We were asked to put together a number of marketing banners for online advertising in various sizes. The message was to be very similar across all the various sizes and the style guides and branding had to be adhered to. Exide Batteries has a proud Australasian heritage dating back to 1935 and continues to be market leaders through implementation of specifically designed products and programs for our local market. They utilise leading edge technology to provide ultimate durability delivering consistency in performance, making Exide the right choice for the Australian and New Zealand automotive industry. 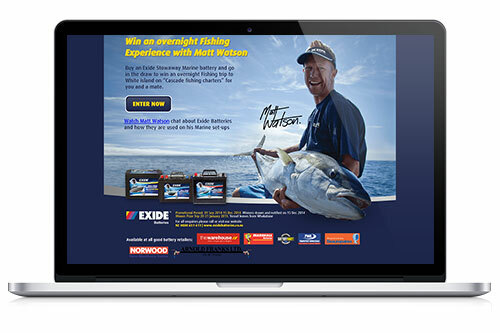 We were asked to design and build a WordPress landing page for a competition for Exide Stowaway Marine batteries. The site uses Contact Form 7 and a Flamingo integration for ease of data management. The Australian Cricket College is one of Australia’s newest and most innovative educational institutions. Playing cricket in Australia is something that many young people from around the world aspire to do. Now that chance is available to all through the Australian Cricket College’s custom-designed cricket education program. 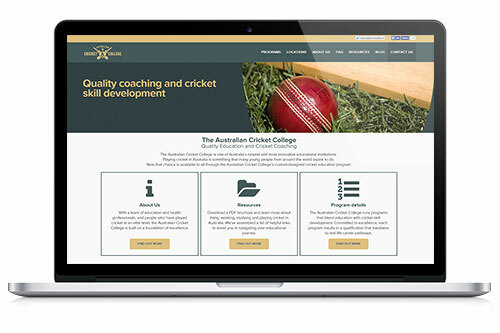 This project involved designing and building a responsive WordPress site for The Australian Cricket College. The site integrates with a event plugin, contains a blog and downloadable resources for students. The integration of Social Media was of high importance to the brand and Facebook and Twitter feature prominently throughout the site. We were engaged in a branding and styling exercise to come up with a logo, font and site design for a start-up Adult products company. The brief asked us to come up with a cheeky, yet recognisable logo that reflects the market they are targeting but isn’t obviously for a store selling adult products. We came up with a hand drawn logo with the lips motif and a font to match that was to be used throughout the eCommerce site. We used the Bigcommerce platform to build the site and used the same bright pinks and black to give a slick yet playful look. 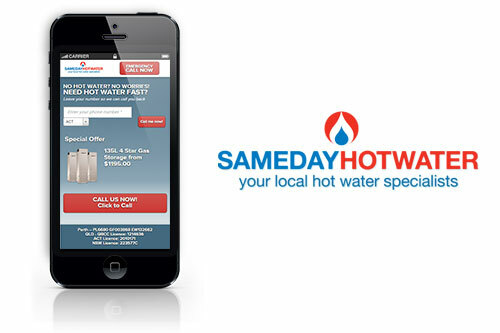 Same Day Hot Water has serviced the needs of Australians for generations. With over 30 years of industry experience, they know what it takes to deliver, install and service your hot water system quickly and safely. The site needed to contain an instant call back function, the ability to add offers and specials and follow the usual SDHW style guide requirements. It had to be compatible across a number of devices and resolutions and most of all should be simple to use by the consumer. We went with a WordPress CMS for ease of use and used Warp Framework for the responsive aspect. 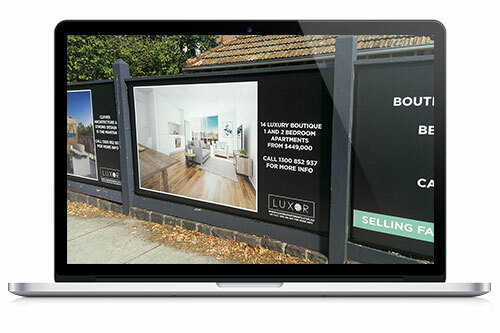 We were asked to create large scale panel banners that we to be put up during the development of luxury apartments in Caulfield called Luxor. Each banner was almost 3 metres wide and 1.5m metres high. The final artwork was supplied to the printer at 25% of the final size which meant that the resolution of the imagery had to be extremely high. 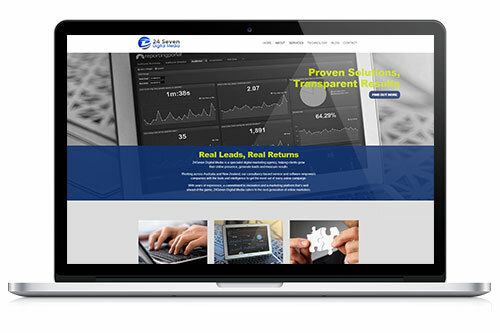 The panels formed part of a larger project including banner design, web development and eDMs. The banners appeared prominently throughout the sales campaign of the development. For more information on our large format design services give us a call on 03 9942 6222 to find out what we can do for you. The Supreme Court of Victoria is the superior Court in the State. It was established by Victorian legislation in 1852 to safeguard and maintain the rule of law and to ensure equal justice for all. 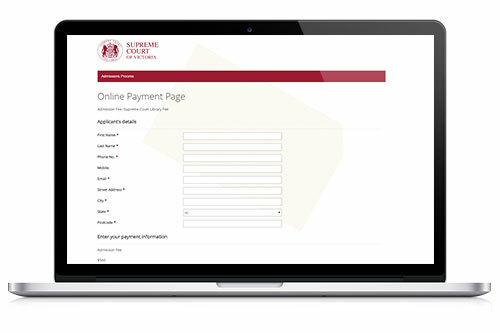 The site required the integration of an eWay payment gateway for secure online payments and uses the fantastic WooCommerce plugin. The brief required that the site fit in with the existing branding and styling for the Supreme Court Website and that the site providing a simple and seamless experience. 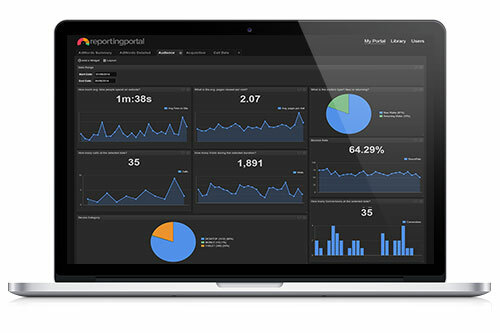 We were asked to build a Digital Media Marketing Platform to track online media advertising performance. The result of years of development, the Platform is highly sophisticated, yet simple to use – allowing businesses to view how online users are interacting with their advertising in real time. The Platform measures views and clicks as well as ‘real leads’ – including phone calls, emails and web enquiries. The Platform is enabled with a range of functions which help measure the effectiveness of campaigns and team, as well as support the sales process. Key functions include Full Google AdWords and PPC integration, Campaign creation and monitoring, Live click-through and impression data. Live lead tracking (email/web/phone) and m issed call notifications forms an integral part of the system alongside phone call recording (inbound) and ROI analytics and calculator.